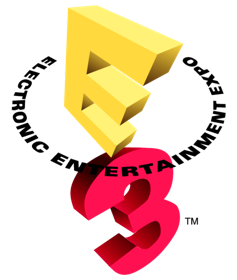 Next week, the world’s leading video game makers and throngs of fans and press will unite for E3, which is generally regarded as the most prominent annual gaming-focused news event. And this year, fans will be able to watch live, thanks to a live stream that’s being broadcast through a partnership between YouTube and gaming portal IGN. YouTube will be live streaming the main press conferences (Sony, Microsoft, Nintendo, EA, Ubisoft) and content from IGN’s E3 booth which will include game demos and interviews. All of this will be available on the channel YouTube.com/E3. IGN has of course been covering E3 for as long as I can remember. But this is new territory for YouTube, which has been gradually ramping up its live streaming efforts in the last year or so. YouTube live streams used to primarily focus on political events, but it’s since streamed a handful of concerts, the Tiger Woods press conference, and the Indian Premier League’s cricket tournament. We also recently found evidence of a live stream button available on some YouTube accounts, though the shot in question was of CitizenTube which regularly broadcasts livestreams. Still, Max Haot, the CEO of Livestream, felt that the button was “strong evidence” that YouTube was planning to launch a live streaming feature. I’ll be surprised if YouTube launches a live streaming option for individuals in the near future (it would be a huge liability). But clearly the site isn’t afraid of working with trusted partners, and I expect we’ll continue to see more deals like this one. Update: It’s also worth pointing out that Ustream will be broadcasting content from E3 through partnerships with G4 and 1UP. Their channel is ustream.tv/e3.